The East-West dialogue increasingly seeks to compare and clarify contrasting views on the nature of consciousness. For the Eastern liberatory models, where a nondual view of consciousness is primary, the challenge lies in articulating how consciousness and the manifold contents of consciousness are singular. Western empirical science, on the other hand, must provide a convincing account of how consciousness arises from matter. By placing the theories of Jung and Patañjali in dialogue with one another, Consciousness in Jung and Patañjali illuminates significant differences between dual and nondual psychological theory and teases apart the essential discernments that theoreticians must make between epistemic states and ontic beliefs. Patañjali’s Classical Yoga, one of the six orthodox Hindu philosophies, is a classic of Eastern and world thought. Patañjali teaches that notions of a separate egoic "I" are little more than forms of mistaken identity that we experience in our attempts to take ownership of consciousness. Carl Jung’s depth psychology, which remains deeply influential to psychologists, religious scholars, and artists alike, argues that ego-consciousness developed out of the unconscious over the course of evolution. 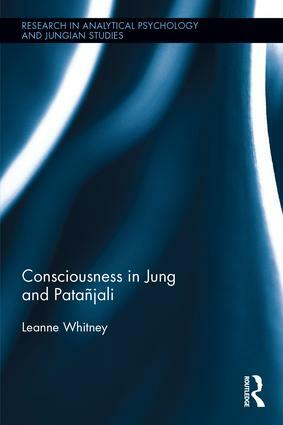 By exploring the work of key theoreticians from both schools of thought, particularly those whose ideas are derived from an integration of theory and practice, Whitney explores the extent to which the seemingly irremediable split between Jung andPatañjali’s ontological beliefs can in fact be reconciled. This thorough and insightful work will be essential reading for academics, theoreticians, and postgraduate students in the fields of psychology, philosophy of science, and consciousness studies. It will also appeal to those interested in the East–West psychological and philosophical dialogue. 'When Carl Jung studied Yoga traditions, he dealt with an abstraction, a relic of the exotic "other." With wide practice of Yoga worldwide, one can no longer dismiss its insights as inappropriate for non-Asians. Leanne Whitney's book updates our thinking about Yoga and shows its benefits to contemporary psycho-therapeutic theory and practice.’ - Christopher Key Chapple, Doshi Professor of Indic and Comparative Theology and Director, Master of Arts in Yoga Studies, Loyola Marymount University, USA. 'The book hardly exceeds 150 pages in length, but its substance outperforms its physical weight by far. From a proper background of what is ontically undivided, it is Whitney’s vision that a ‘depth psychology–classical yoga fusion can yield a contemporary, and more lucid, understanding of the multiplicity of forms on the foreground’. I couldn’t agree more.' - Harald Atmanspacher, Zürich, writing in the Journal of Analytical Psychology, 2019. Dr. Leanne Whitney is an independent scholar in the fields of depth psychology and consciousness studies. She specializes in the intersection of Western psychology and the Eastern liberatory traditions. Dr. Whitney is the author of Consciousness in Jung and Patañjali as well as several academic papers. She earned her MA in statistics from the University of St. Andrews and her PhD in depth psychology from Pacifica Graduate Institute. Series Advisor: Andrew Samuels, Professor of Analytical Psychology, Essex University, UK. The Research in Analytical Psychology and Jungian Studies series features research-focused volumes involving qualitative and quantitative research, historical/archival research, theoretical developments, heuristic research, grounded theory, narrative approaches, collaborative research, practitioner-led research, and self-study. The series also includes focused works by clinical practitioners, and provides new research informed explorations of the work of C.G. Jung that will appeal to researchers, academics, and scholars alike.